Just doing some role-play decision making. 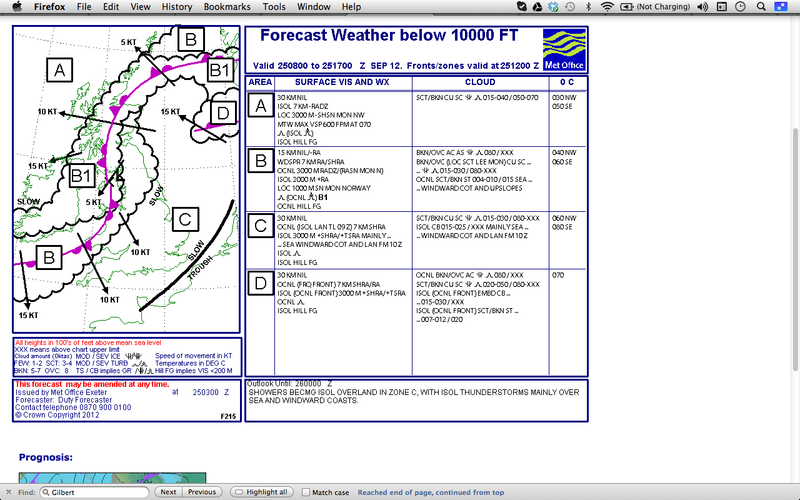 Metar looks ok, quite strong winds but reasonable. Low pressure, so pressure altitude at 780ft, I’d have to look on placard to see how significant it is exactly, but I’d guess about quarter of an inch less compared to what we’ve been flying in. Gusts and vis in the TAF don’t look great. However, 215 doesn’t imply it’s too bad/imminent. I’d probably look out the window and check the 15min rainfall radar before deciding. I’d like to say “let’s do it another time” but think there is enough of a window/within limits for it to be a “go”, but I’d be in trouble if gusts arrived before I got back on ground. It looks borderline flyable to me, with caution. Today’s weather is quite confusing. On the one hand it’s post-frontal, which is often our favourite phase, though that was one heck of a frontal system that passed over yesterday causing flooding and tree damage, so behind it the weather is quite unsettled. On the other hand we’re very close to the centre of the low, so it’s always going to be unreliable, wet and windy. Looking out of the window here seems to confirm the confusion. Blue sky and puffy white clouds (ie post frontal) but the clouds don’t have all of their usual post frontal stability (defined lower base) as they’re being blown about in the wind, as are the bushes, grass, trees and bits of the trampolene in the garden. And there are bits of grey straggly stratus, because of the low. (They’re always a big clue as to instability). I agree that you may well be able to keep away from the showers. As well as the G25 issue, which you’re right to focus on, it’s important to fly around the showers to avoid damaging the helicopter’s main rotor blades, and becoming disorientated in the shower itself. There’s obviously a risk of getting lost when your planned route is disrupted by a shower sitting right over it, obliging you to route around it. When you’re a qualified pilot you can use GPS as extra help in varying your route, obviously, so reducing that as an issue. 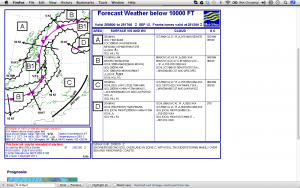 Having a picture of controlled airspace around your route pre-departure will also be a help. The other thing to think about is what to do if a shower is sitting right over your destination. What will that do to your fuel plan? On the showers aspect of the forecast, I’d say the decisive issue is how discrete/isolated the showers are. ie Can I fly round them? And how fast are they moving? The other issue in this kind of unsettled weather is turbulence. Quite a factor in a teetering head helicopter like the Robinson and Bell types, though experience suggests that it has to be really pretty wild up there (and you have to mishandle the controls) before it’s a flight safety issue. The 215 says moderate turbulence as low as 1500ft. There’s a Robinson Safety Notice about R22 flight in turbulent conditions, which is well worth reading. The half-inch point is a good one, but it’s cool out there, and you’d have translational lift in the hover, so power available is unlikely to be an issue. Not ideal early-hours weather, I’d say, and your passenger would soon be wondering why you were so keen on this whole thing. I think you’d get up there, and find yourself being thrashed around by the generally windy and gusty conditions (not limited to the showers) and wish you hadn’t gone for it. On the subject of flying in weather with visible moisture, this article on icing is excellent: No Ice Thank You. I think I disagree with him about the carb check being with governor off, as we’re doing it below 80%? Also, I like his suggestion of checking the Inlet Temp gauge against the OAT gauge on the first flight of the day.